Water is a critical component of your body, and adequate hydration is a must for your body to function properly. Up to 75% of your body weight is water! Disorders like as asthma, renal dysfunction, adrenal fatigue, arthritis, ulcers, pancreatitis, digestive problems and degenerative disc disease have all been associated with chronic dehydration. Yikes! As you can see, drinking more water can help solve many health problems. 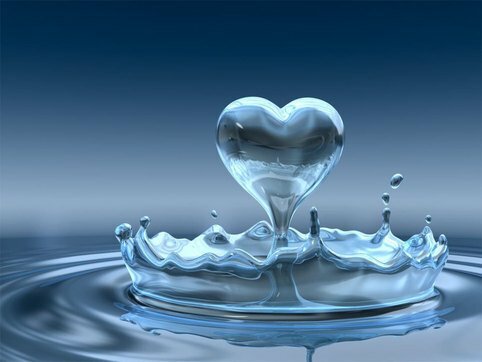 With 45% of our blood made of water, is it any wonder that chronic dehydration reduces blood volume and stresses the heart? Current estimates are that 75% of Americans are chronically dehydrated. It also a well known fact that the thirst center is not very reliable and does not kick in right away, and that hydration levels affect the satiety center. So, when we’re dehydrated, we often mistake it for being hungry, so we eat instead of drink. Drink more water! Dehydration is the #1 cause of daytime fatigue. Commonly, the afternoon coffee is the solution of choice, but the caffeine that provides the “pick me up” also dehydrates you, leading to the inevitable crash a couple hours later. Current guidelines recommend you drink 8 ounces of water every 2 hours you are awake. You can also take your body weight, divide it in half and drink that many ounces throughout the day. For example, if you weigh 150 pounds, you would divide 150 by 2 and drink a total of 75 ounces throughout the day. The three most important attributes of drinking water are molecular size, pH and oxidation. Tap water in most homes is very harsh, and San Diego is no exception. It is in huge molecules, probably closer to H200/O100 than it is to H2O. Molecules this large have difficulty being absorbed at the cellular level, even in the rare event that the individual is drinking enough water. Ideally the water you drink should be as close as possible to normal blood pH: 7.3 – 7.45. Many foods in our diet acidify the body (lowering the pH). Unfortunately, body acidification promotes virtually every disease known to man including cancer. Drinking high pH water helps offset the scales and create a more alkaline environment in your body. Check out Carlsbad Alkaline Water, they are a great local company. Lastly, quality water can act as a mild antioxidant, like Vitamin C or Vitamin E by neutralizing free radicals. Filtration systems that address molecular size, pH and oxidation are currently available. Do your research as some are better than others, or call our office for more information. So go ahead, take a drink and enjoy more water!